Finally I have a little bit of inspiration to create a blog post 🙂 . Today I’d like to show you how to integrate custom information from an IDOC to your ME object, i.e. material, shop order etc, as a ME custom field by slightly brushing MEINT workflow and using modified XSLT. You could add more complex XSLT logic here, but for simplicity I’m assuming that COLOR and TYPE idoc fields are always there. … the custom data fields are integrated and are available in ME Material Maintenance. Hope this short guide will help you guys to understand how MEINT works and how it can be tweaked/customized to integrate required information from ECC to ME that is specific to your implementation. Thanks for reading. Any advises/questions/comments and ratings will be highly appreciated. From ERP side, I guess, we still have to use Classes of 001 type? Am I right? The article is not about ERP classes, but rather about a technic to integrate any IDOC xml field to ME and store it as Custom Data. If you are talking about standard integration of material classifications – then yes, they should be of type 001 as per Transfer of Material Classification Data SAP ME help topic. I agree with you, the source of custom data is probably the topic for another article! 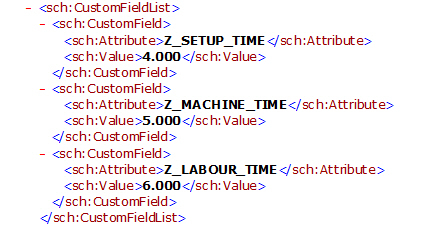 I tried to save three custom data fields in the routing step (Z_SETUP_TIME, Z_MACHINE_TIME AND Z_LABOUR_TIME). 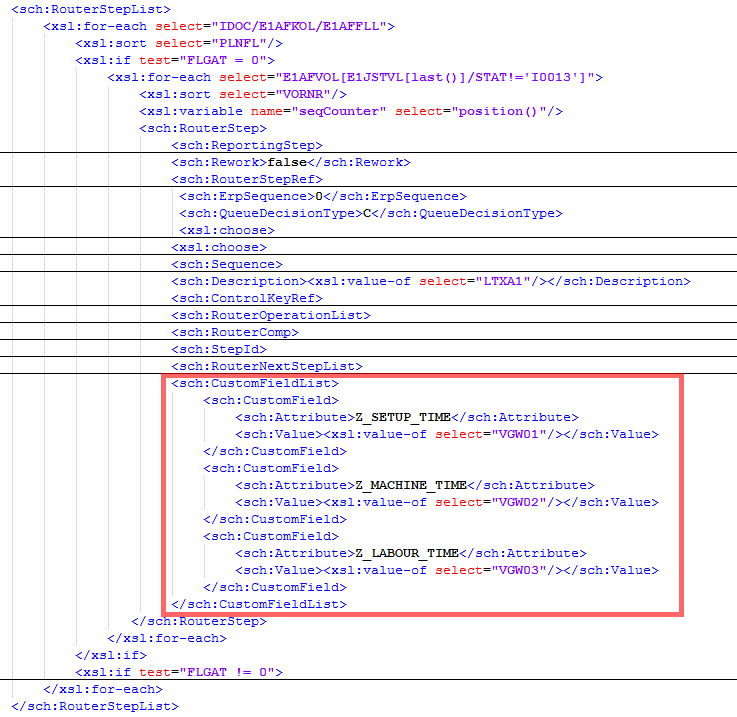 So I modified the ProductionOrderRequestLOIPRO03.xslt. Nevertheless the data is not beeing saved in the custom fields of the Routing Step.